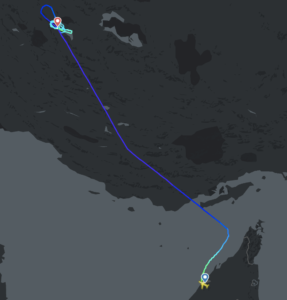 On Feb 23, the Norwegian B737 which had been stuck in Iran for two months after an in-flight diversion finally departed OISS/Shiraz, and landed back at Stockholm’s ESSA/Arlanda airport. 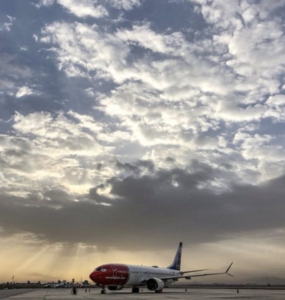 The brand new Norwegian Boeing 737 MAX8 was flying from Dubai to Oslo on Dec 14 when it encountered engine problems that necessitated a diversion to Shiraz. With the U.S. sanctions currently in place against Iran, it made it very difficult to obtain approval to get the required spare parts over to Iran to fix the aircraft – Norwegian were only able to do so after negotiating a workaround with the U.S. Office of Foreign Asset Control. The real complication here came from the fact that the aircraft needed a replacement LEAP-1B engine. The engine is a 50/50 ownership split between GE (USA) & Safran (France). The U.S. export restrictions apply to any company that wants to sell or resell goods to Iran that contain more than 10 percent aviation parts or technology from the United States. In the end, the aircraft was out of service for over two months, no doubt costing the airline a fortune in lost revenue. It’s unclear who will be picking up the bill for “extra” complications of getting the permits with Iran, but that will be a costly exercise also. Consider your overflight diversion options. If a checklist calls for a diversion to the nearest suitable airport and that airport is in a country with limited diversion support or (in this case) complicated requirements for sourcing replacement parts – is it worth the risk? Have you operated to anywhere in Iran recently? Let us know how it went! London to Dubai – which way is best?